Mobile operators have a wealth of information about how applications are being used across their networks. Mobile users are consuming ever increasing amounts of media on smartphones and tablets. Looking deep into the data could unlock significant value for the network operators, users in search of contextually-relevant media, and third-party advertisers, explains Shrikant Latkar, VP of Marketing at InMobi and Board Advisor at Vistapointe. Vistapointe, a start-up based in San Ramon, California with R&D in Bangalore, India, offers a cloud-based and embedded network intelligence solutions for mobile and enterprise Wi-Fi operators. 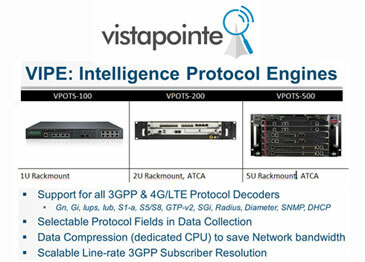 Unlike general purpose, deep packet inspection (DPI)-based network intelligence platforms, Vistapointe features a Linux-base packet parser engine to selectively decode 3GPP and 4G/LTE protocols, capture only specific protocol fields, apply compression and then deliver this data to a cloud-based mobile analytics platform.The cloud-based analytics enables Vistapoint to offer a highly scalable Network Intelligence As A Service (NiAS) for 3G, 4G/LTE and Wi-Fi carriers. Vistapointe's Dynamic Subscriber Profiling enables the operator to predict subscriber usage patterns and profile their mobile data customers so as to offer fine-tuned tariff plans. Vistapointe also said its dynamic subscriber profiling could leverage APIs to integrate with 3rd party mobile ad platforms. Cisco reported record net sales of $12.1 billion for its second fiscal quarter. Net income (GAAP) came in at $3.1 billion or $0.59 per share, beating market expectations. "Cisco delivered record earnings per share this quarter and record revenue for the 8th quarter in a row in a challenging economic environment. We continue to drive the innovation, quality and leadership our customers expect, and we remain focused on consistent returns to our shareholders," said John Chambers, Cisco chairman and chief executive officer. "In terms of the future, we are making solid progress towards our goal of becoming the #1 IT company in the world. As new markets grow and are created, such as the Internet of Everything, it's very easy to see how the intelligent network is at the center of that future." On the earnings conference call, Cisco executives said the company is gaining traction in key transitions areas as data center, cloud, virtualization, mobility and video. Despite weak macro economics, the Cisco said it is executing well. The economic situation is especially soft in southern Europe. Cisco noted positive improvements in enterprise sales in the U.S.
A decline in the routing segment was attributed to the challenging environment in Europe and China. Cisco is seeing good momentum with its ASR 9000 edge routing platform. 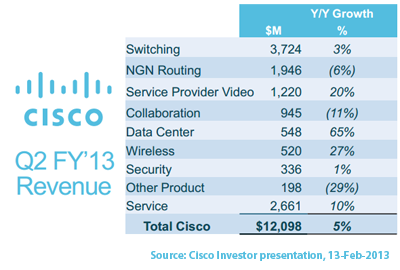 Cisco paid a cash dividend of $0.14 per common share, or $743 million. Cash and cash equivalents and investments were $46.4 billion at the end of the quarter. Headcount was 73,482 at the end of the quarter, up from 63,870 a year ago. AT&T's new CDN Service is now available to U.S. customers. The launch comes two months after AT&T announced a global strategic alliance with Akamai Technologies to provide content delivery network solutions. A similar offer for global companies is also planned. AT&T said that with the deployment of Akamai's CDN infrastructure within the AT&T network, customers are expected to benefit from more efficient content routing and better delivery of digital content, video and Web applications, resulting in a better end-user experience. The CDN helps website pages to load faster across nearly any network-connected device, including mobile devices. It provides faster distribution of content rich applications like high-definition video across nearly any connected device. It also accelerates software distribution securely across enterprise networks. "Our customers require high-performing, secure and reliable content delivery solutions to help them deal with a virtual sea of digital assets like mobile apps, movies, live events and other rich web content," said Jon Summers, Senior Vice President-Growth Platforms, AT&T Business Solutions. "Our new CDN solution allows them to manage and deliver content faster and more efficiently to end-users across broadband, mobile, Wi-Fi, and Intranet connections to virtually any device." As of 2012, Akamai had over 125,000 servers deployed in more than 2,100 locations in over 1,100 networks worldwide. In December 2012, AT&T formed a strategic alliance with Akamai Technologies to deliver a global suite of content delivery network (CDN) solutions to companies. Under the deal, Akamai will deploy CDN servers at the edge of AT&T's IP network and in AT&T facilities throughout the United States. 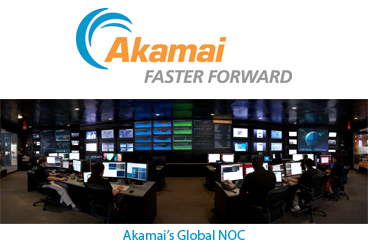 AT&T will transfer its existing CDN operations, customers and service to the Akamai platform in 2013. The companies have also agreed to dedicate shared resources including technical support, customer care, marketing and professional services support. Financial terms were not disclosed. The companies said the combination of AT&T's network assets with Akamai's CDN will help enterprises simplify content distribution management and drive higher-performing end user experiences for consumers accessing content on the Internet. They hope to expand their efforts internationally within 12 months. Ericsson outlined its plans for the distribution and orchestration of cloud capabilities horizontally across the network. Essentially, the Ericsson Cloud System will leverage an open, distributed platform based on OpenStack and KVM (Kernel-based Virtual Machine). It will use an Ericsson Cloud Manager for end-to-end orchestration. The capabilities will be enabled across the Ericsson Blade System (EBS) and the Ericsson Smart Service Router (SSR). Together, will deliver end-to-end elasticity across network, compute and storage assets. The target release date for the Ericsson Cloud System is Q1 2014. "We protect existing operator investments when introducing new technologies. We implement cloud-enabled networks by evolving what operators already have in the field. We do this by using established telecom platforms - such as EBS and SSR - and integrating them with new software in a way that ensures carrier-grade performance, while introducing a platform for new partners. This systematic implementation of end-to-end elasticity across network, computing and storage assets enables the delivery of new services and business models and is what we call Cloud Evolution," stated Magnus Furustam, Vice President and Head of Product Area Core and IMS at Ericsson. Ericsson's Blade System is used to power its Mobile Switching Center Server (MSC-S), which controls all circuit-switched call services, the user plane and media gateways. A new MSC-S Blade Cluster will scale the softswitch and increases node availability and server capacity. It can add capacity for softswitching based on traffic conditions, or leave capacity for other functions. 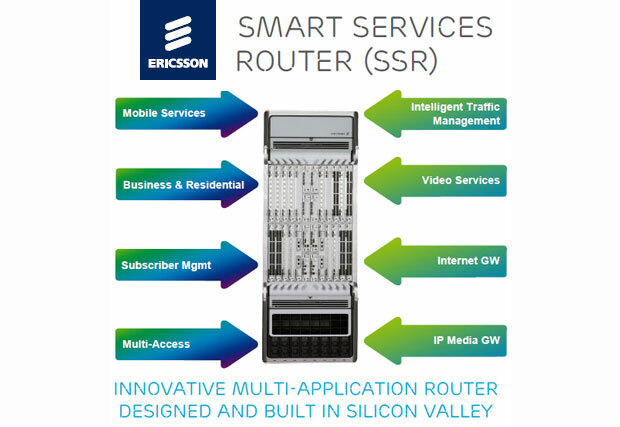 Ericsson's Smart Services Router (SSR) is a "multi-application" edge platform for advanced services on both fixed access and broadband wireless access. Specific blades deliver processing power for applications, including: video (caching), mobility (mobile gateway), business and residential services with DPI and policy enforcement. Fujitsu introduced its FLASHWAVE CDS Micro Packet Optical Networking Platform (Packet ONP) for Optical Transport Network (OTN) switching. The FLASHWAVE CDS 6.1, which leverages in-house designed OTN technology, boasts 80G of non-blocking (any to any) ODU0/1/2 switching within a 2RU rack space – the highest available density in the industry. The FLASHWAVE CDS 6.1 is fully environmentally hardened and can be deployed anywhere including an OSP cabinet or up on a telephone pole. It has a 19”, 2RU, 300mm footprint and doesn’t require other elements such as external fans or baffles. The CDS family of I/O units provides a full set of functionality from Ethernet aggregation with full traffic management, to simple Ethernet over SONET, to being a distributed OTN switch. The OTN unit has a wide range of pluggable optics options including an 88 channel Full Band Tuneable XFP that allows the user to bypass transponders when co-located with ROADMs. Fujitsu said its FLASHWAVE CDS 6.1 can save Service Providers significant operational costs by acting as a Gateway Network Element to the downstream FNC SONET family of devices, while being transparent to other SONET devices that are unmanaged. "Several vendors offer OTN encapsulation but Fujitsu is unique in that we have invested in our own intellectual property to ensure customers receive maximum value,” said Rod Naphan, Senior Vice President of Product and Strategic Planning, Fujitsu Network Communications. "Developing our OTN technology in-house means the FLASHWAVE CDS 6.1 provides performance and reliability that, while adhering to industry standards, provides additional added value compared to ‘off the shelf‘ components. This is particularly important when dealing with services that cross multiple technologies, e.g., Ethernet/SONET/OTN. 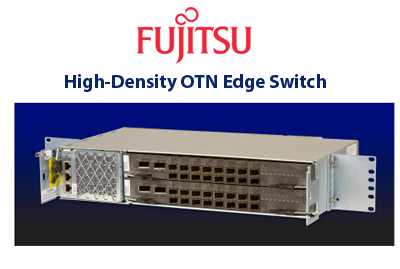 Fujitsu has a long standing tradition of optical integration and OTN is the latest proof point. We will continue to bring value to our customer base by leveraging our OTN investment across the Packet-Optical portfolio, increasing commonality thereby lowering Capex and Opex costs." The new MPX-9110, which is packaged in a 1RU box, can aggregate and transport any mix of 10 Gbps, 40 Gbps and 100 Gbps services over a 100G OTN DWDM wavelength. 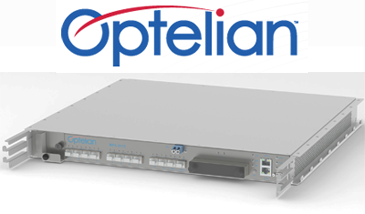 Standalone design – Service delivery, management and OSC in a compact 1RU form factor. Pertino, a start-up based in Los Gatos, California, launched a limited release of a cloud-based "network engine" for small-to-medium businesses. The idea is to cloud programmability to instantly create secure networks using existing gear. The Pertino cloud platform combines global cloud infrastructure with network virtualization, the programmability and automation of SDN, and a social-inspired management paradigm. Users are able to quickly set-up "virtual offices" with secure file sharing and remote desktop. Pertino is offering a free service that provides a personal cloud network for up to three members and three devices each. A Professional plan is only $10/month per member. The service is available now on a select set of computing devices. Pertino is funded by Norwest Venture Partners and Lightspeed Venture Partners. Equinix reported Q4 2012 revenue of $506.5 million, a 4% increase over the previous quarter and a 20% increase over the same quarter last year. This result included $18.4 million in revenues from the Company’s Asia Tone and ancotel acquisitions for the quarter and excluded $2.8 million of revenues from discontinued operations. Net income for Q4 was $44.9 million, or $0.92 per share and diluted net income per share attributable to Equinix of $0.88. Equinix expects its ongoing CAPEX to trend down to 5% of revenues over time. Equinix now has 24 U.S. IBX data centers -- the average age is 6.9 years. The current average utilization for Equinix data centers is 85%. Netronome will demonstrate the first software defined networking (SDN) reference design that uses flow processors and open dataplane software controlled by the OpenFlow protocol. The company is showing its reference at this week's Open Networking User Group (ONUG) in Boston. Netronome’s NFP‐6xxx is powered by 96 packet processing cores and 120 multi‐threaded flow processing cores operating at up to 1.2 GHz. It delivers 200 Gbps of packet processing with deep packet inspection, network and security processing, and I/O virtualization for over 100 million simultaneous flows. It is also specifically designed for tight coupling with x86 processors. "In an SDN world, applications and services require flow intelligence at a very granular level," said Jarrod Siket, senior vice president of marketing at Netronome. "This requirement is forcing devices to support all OpenFlow match fields in SDNs. Programmable flow processors are well positioned to service these applications by supporting the evolving OpenFlow standards."